Contact us if seeking for a durable and qualitative range of JMB50: 50mm Cap. Magnetic Base Drilling Machines. 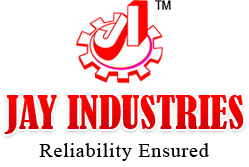 We share forefront for manufacturing & supplying Magnetic Base Drilling Machines in Gujarat, India. Offered at fair market prices, our Magnetic Base Drilling Machines feature high strength, optimum quality and reasonable prices. Magnetic Pole 2 High Frequency Epoxy sealed. Dimension : 13.5 x 7 x 20 inch. Approx weight : 34 Kg.